Here is another Abraham Lincoln book from the celebration of the centennial of his birth and another that I have just recently read. I actually finished it a few weeks ago but have not found the time to review it until now. Because of that delay, I am not sure this review will be as long as many of my other ones, but this is a fine book and I do wish to note at least a few thoughts on it. This book contains 17 brief essays by various scholars, discussing how studying Abraham Lincoln, his life, politics, family and/or career has influenced their lives and even careers. 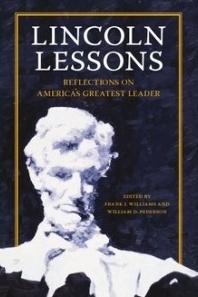 The essays selected provide a good diversity of viewpoints; on one hand, all do discuss Lincoln's influence in a positive way on their lives, but their careers and experiences are each unique and provide a different perspective than the others. While I was reading this book, a question occurred to me: "What would my Lincoln Lesson be?" I did not come up with an answer and still have not, though it is something I would like to ponder a bit more. If I needed to write an essay for such a book, what would I say? As much as I enjoy studying Lincoln's life and career, I should be able to come up with some sort of insight into how my reading has affected or influenced me. Perhaps that's a new level of scholarship or study I need to reach, but it is an idea that has remained in my mind since I read this book. It may be the subject of a future blog entry (or entries.) Or maybe I can adjust the concept and question to be about "Civil War Lessons" or "Siege of Cincinnati Lessons" or other such concepts. 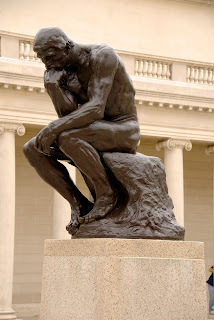 Why do I study what I do and how does it benefit me? Surely (Hopefully?) it is for something more than enjoyment. I hesitate to single out any individual essay from this book as they all deserve attention and I cannot give each of them the time it deserves, but I must say I was a bit sad while reading A View from the Lincoln Museum by Joan Flinspach about her experiences at the Lincoln Museum in Fort Wayne, Indiana. Throughout the essay, as she discussed the museum's exhibits and future hopes and plans, I had a nagging, sad thought and this was confirmed by an editor's note at the end of the essay - the museum closed down in 2008. I did feel sad for her about that, especially as the museum had made some ambitous plans for the future, but I appreciate the editors leaving this essay in the book, providing the views of a museum professional. I did enjoy this book and each essay in it. Each has its own author, so that naturally leads to different writing styles, but the editors did a great job in putting together a good and thought-provoking book with different perspectives. Just look at the third paragraph of this review to see its effect on me. If a good book is one that leads to further questions, study and thought, then this book certainly qualifies as a good book, at least from where I sit.